National Amateur Champion – 1976. Charter Member of the Women’s Professional Billiards Association (WPBA). World 9-Ball Runner-Up – 1979. All-American Trick Shot Champion – 1980. World 14.1 Runner-Up – 1981. National 9-Ball Champion – 1982. Pool & Billiard Magazine Player of the Year – 1982. BCA National 8-Ball Championship Team – 1982 & 1983. 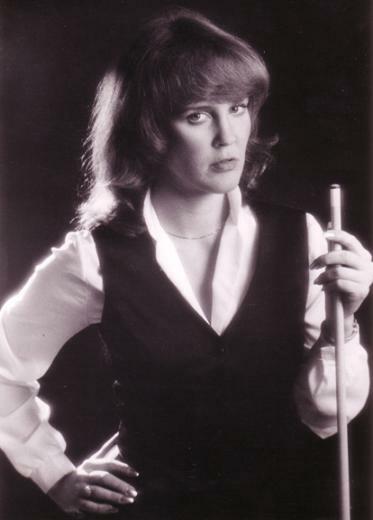 First Female Billiard TV Analyst – 1987. Initiated WPBA Regional Tour and Qualifying System. Inducted into the WPBA Hall of Fame – 2005.